To claim the credit, just visit this web page — or go to tinyurl.com/TwoFreeMp3s — and then just complete this sentence. “My favorite song right now is: ____.” A blue button lets you share your response with your friends on Facebook — and then claim your $2.00 credit for music downloads from Amazon! I’ve been uploading Amazon’s .mp3-format music files onto my Kindle, trying to create the perfect “background music” effect while reading certain ebooks. (When I read U.S. history, I like to listen to Aaron Copland!) Sometimes I’ll keep skipping through my music files, trying to find the right fit for the ebook I’m reading. And of course, I’m also a big fan of listening to music files while I’m surfing the web on my computer! If you’re a movie lover, Amazon’s discounted the cost of downloading the entire soundtrack albums for some of this summer’s biggest blockbusters. 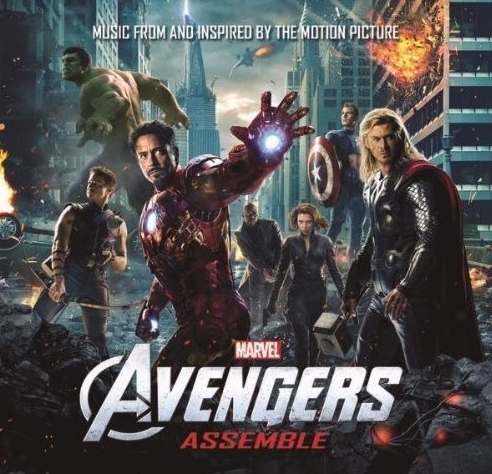 Avengers: Assemble is just $5.99 (with music “from and inspired by” the movie.) And Amazon’s offering the same low price for The Hunger Games: Songs from District 12 and Beyond. (Or, for $5.00, there’s a similar collection of songs from Dr. Seuss’s The Lorax. ) Remember, that’s the price before you subtract the special $2.00 credit that Amazon’s giving away online. This means that all of Amazon’s $5.00 albums now cost just $3.00 — including the Go-Go’s Beauty and the Beat album and Bob Seger and the Silver Bullet Band’s Live Bullet. And some albums are even cheaper. For example, for $3.99 — or, $1.99, after applying the discount — Amazon will sell you one of nearly 400 different five-song collections from Rhino Records, commemorating classic rock artists like Foreigner, Foghat, Deep Purple, as well as “oldies” groups like The Coasters, The Drifters, Little Richard, or Otis Redding, plus collections of Ray Charles, John Coltrane, or Sammy Davis Jr.
There’s some other interesting full-length albums that are also available for just $3.99 $1.99 , including “99 Must-Have Christmas songs,” which Amazon pointed out was a $92.04 savings over the cost of buying each .mp3 individually. And for the same price, you can also buy Bill Cosby’s classic comedy album, 200 m.p.h..I think my all-time favorite title for any album on the site was Yeah Yeah Yeah by the Yeah Yeah Yeahs. By the end of the afternoon, I’d spent nearly an hour browsing through all the choices before finally spending my $2.00 credit. So what’s your current favorite song right now? Do you know if the free downloads are still available? 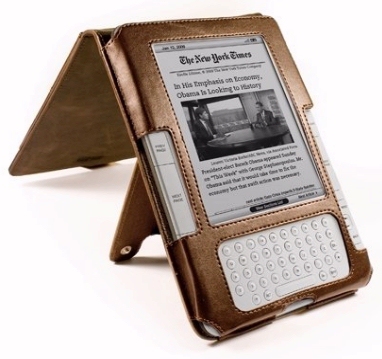 Amazon’s Releasing a New Kindle by July? Best New Books for May!